This evening at Preston Road Community Centre the Ock Valley Flood Group had their annual open meeting, and there was a good turnout. 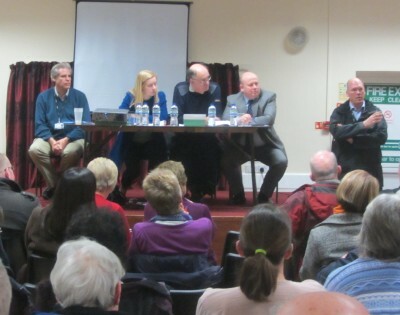 Nichola Blackwood, MP, spoke about getting a good deal from insurers for houses at risk of flooding. Ian Hudspeth, leader of Oxfordshire County Council, spoke about better joined up thinking in response to floods. Malcolm Moore presented a scheme about tree planting in the areas above Abingdon to stop water coming down all at once. More of that soon. A man from the Environment Agency said that in the case of Abingdon a number of measures working together will reduce the risk of flooding, such as: his own men’s work, and the work of the Ock Valley Flood group (seen above) helping clear our rivers and ditches; such as better agricultural methods upstream – how fields are ploughed; and better tree planting. 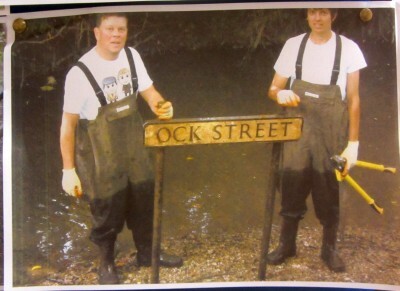 Ock Valley Flood group volunteers will be back out in action in 2 weeks time. They clear rivers and ditches during the 2nd Saturday of each month. 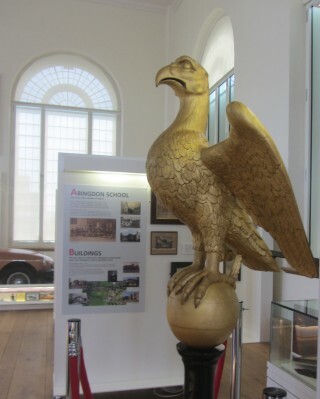 Michael St John Parker, Headmaster 1975 – 2001, gave a very interesting talk this evening about the exhibition at Abingdon Museum – Abingdon to Zanzibar – an A to Z of Abingdon School over 450 years. The talk was in the Roysse Room – the one time school room. In the talk there was high praise for some ex headmasters such as Thomas Woods 1716-1753 during whose time a lot of the nobility sent their sons to Abingdon, when it became a top school in the country. There was less praise for another headmaster who started off with a good complement of pupils but ended up with just three, then did a similar act of decimation at his next school. One ex pupil, Colonel Bringfield, became a national hero when he stopped a canon ball with his head – was decapitated, but saved Lord Marlborough whose horse he was holding on the battlefield. As a result Colonel Bringfield has a monument in Westminster Abbey. Another Old Abingdonian, called Ridley, helped stop the Slave Trade in Zanzibar. The talk also gave a new angle on local historical figures like John Roysse and the Tesdales. I expect it will be printed in time so well worth reading. 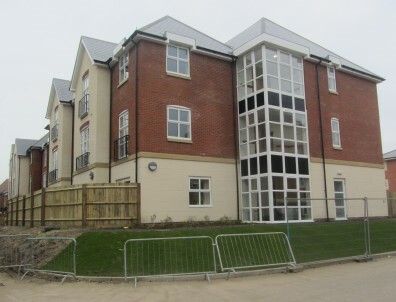 The scaffolding is now down round the new care development located in the centre of Abingdon, where the Abbey Press and the MOT Centre once stood. 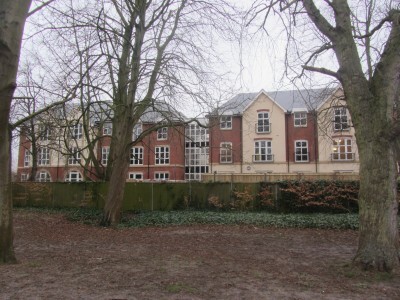 The care development has an outlook across the Waitrose Carpark on one side and the Abbey Grounds on the other. So will provide front seat views for the next Rock in The Park (if there ever is one) and The Abingdon Passion Play. There will be 71 suites in all for 71 residents, and a club with a spa and cinema. The first residents move in this Spring. They plan to take an active part in Oxfordshire Artweeks, sponsoring three artists chosen because every person can continue to lead an active and fulfilling life no matter what their age. 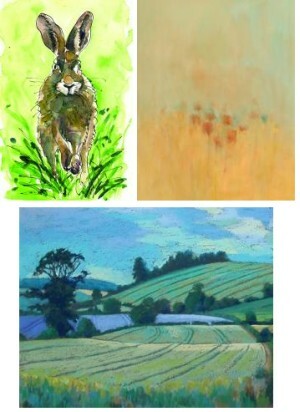 Pictures are from those same artists in the Artweeks brochure back in 2012. There is a public exhibition at the Crown and Thistle from Tuesday 26th February until Thursday 7th March from 8am to 8pm. 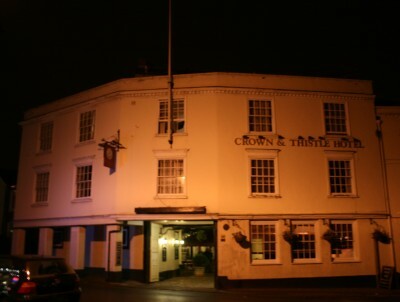 Part of the exhibition shows a timeline of historic events about the old Coaching Inn, with pictures. The line starts in 1605. 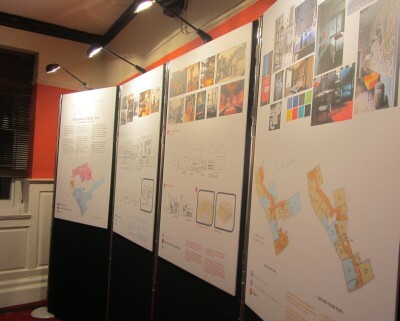 There is also an exhibition of proposals for the future. The new owners want to make more of historic features such as fire places and the timbered barn; make other areas lighter and more open; and improve the hotel and restaurant. At this stage they are proposals and they want comments from local people before submitting the plans. 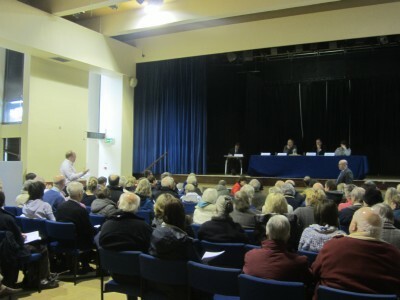 The town council organised another public meeting regarding the proposed development of 160 houses in a field in South Abingdon, which got turned down by the district council, and has now gone to appeal. All previous comments made to the district council about the plans will go forward to the planning inspector, but people can make new comments to the Planning Inspector,before 15th March. People can even ask to speak at the hearings. 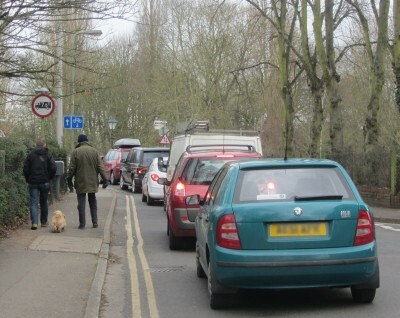 The main reason the development is seen as unsustainable by a lot of locals is because of the traffic situation in South Abingdon. 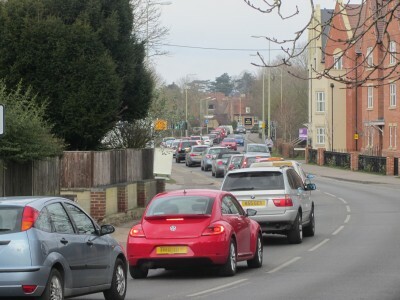 There was a lot of traffic on the Drayton Road after the meeting coming from South Abingdon. Even more leaving South Abingdon via the Iron Bridge. Residents are faced with yet another potential development which brings with it no additional infrastructure. The development would also detract from the rural environment of the area. The developer’s appeal says it is close enough to facilities like schools and shops to make it ’sustainable’. That houses need to be built in this area and that the district has only plans for 3.3 years of housing – not the required 5 years.